Last thing you want to do is go to turn on your heat only to have the furnace conk out. Chances are you didn’t turn that furnace on for the last for five months. If you skipped last year’s inspection, then you definitely want to get your furnace service before you use it. That means bringing in a professional to give it the once over. You might also want to stock up on extra air filters to change in the coming months. That same HVAC technician who will be looking over your furnace should be able to winterize your air-conditioning unit. It’s important that you keep it covered in the rain and snow. It should also be drained so that no moisture can grow into a mold. Fall is the time to swap out the batteries in your smoke detectors. If you have not installed a carbon monoxide monitor, then this is a good time to do that as well. The only real time you can see if your roof is leaking is when it’s raining. 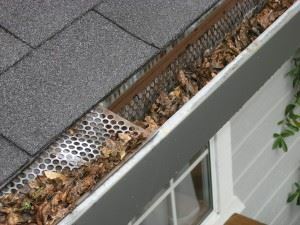 But you might be able to text some damage such as torn shingles or some type of infestation. It’s a good idea to inspect your roof this fall by walking around the entire house. It might even help to break out the binoculars. If you going up in the latter then you definitely need to clean out the gutters. You do not want water to overflow and back up into your house. Fall is a good time to get organized for the coming holiday season. First thing you’ll be pulling out of the hollowing decorations. But if they are surrounded by clutter and rubbish in your garage, then it’s time to bring in the pros from Junk King Seattle. One junk removal session is all it will take to clear your house of all your unwanted items. Only you can decide what can be tossed out but once you do, you just have to point to it and the Junk King Seattle crew will take care the rest. If you’re getting rid of rubbish this fall, then you can count on Junk King Seattle to get the job done right. This entry was posted in junk removal and tagged fall prep, home, junk removal on August 29, 2017 by Junk King. Last updated August 29, 2017 .